Over the last few months I’ve been keeping tabs on a wild ride of feminist discrimination over in China, Fangirls. It doesn’t seem to be getting much attention, and I think that’s just as bad as the event itself. The fight for equality isn’t just here at home, it’s an international problem. Not to be a downer, but when you blow feminism up to a global scale, you realize how much work needs to be done. What has happened in China with these five women is a perfect example of that. On March 6th, there was police sweep across Beijing in search of women who were planning a demonstration a few days later to highlight violence against women. Multiple women were arrested, then released, but five remained in custody for over a month. They were brutally interrogated, threatened, but first & foremost were jailed for doing nothing wrong at all. These women were essentially jailed for thinking about trying to do something about the patriarchal problems in their country. Essentially, these women were arrested just for being feminists. The five were rather well known for their activism both online and in person, having organized demonstrations in Beijing before. Why this demonstration, which hadn’t even happened yet, was different, I’m not sure. The police were fed up, and went searching for anyone involved, holding this more notorious group for much, much too long. From day one, the media new about this whole ordeal. The internet was aflame, calling for the government to release these women. 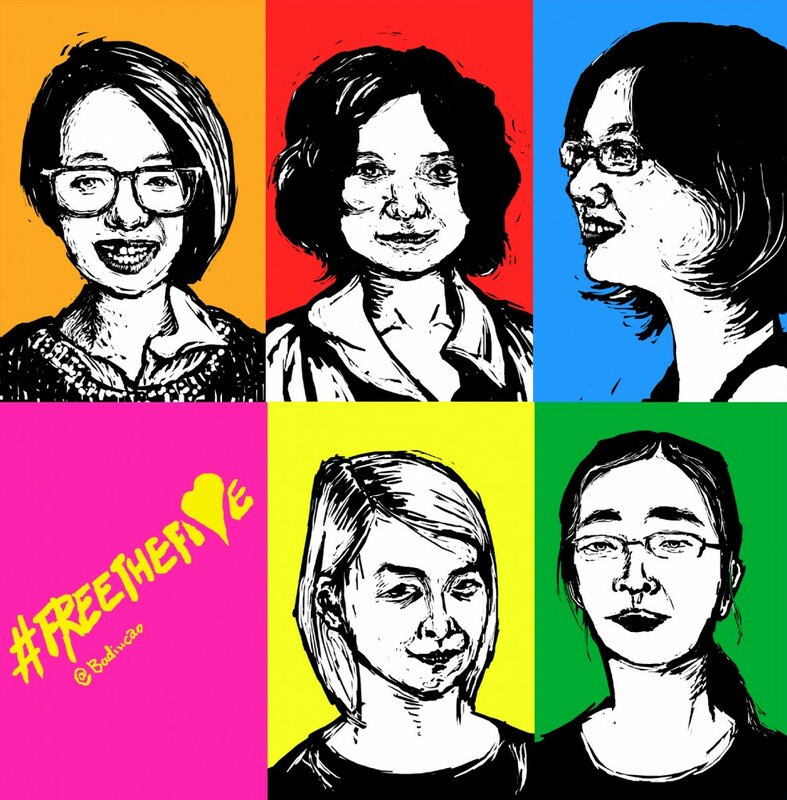 They even got Hilary Clinton tweeting, demanding that China release these innocent women. Don’t mess with Hilary, China. In late April, the five women were released from prison, but there conflict is nowhere near over. The women are still considered suspects in an ongoing legal investigation, and will most likely face charges in the near future. If charged, they could face five years in prison. With the way China’s law works, these women will be restricted in every way imaginable. Those who were not proved to be legal Beijing residents, all but one, were sent back to their hometowns. All five will be under surveillance, and their activities and movements are severely limited. They can also be summoned for more interrogation at any time. It’s absolutely insane. China has a tighter grip than ever on those looking to support and enhance women’s rights. It’s so unfortunate to feel as though things may be inching forward here in the United States, then see that other places in the world are still struggling so much. Women’s rights are a global problem, they need fixing everywhere. It’s a bit awful to think, but conflicts like this are what will get us having an international conversation about gender equality. I’m not happy that these women are being so mistreated by their country, but I am happy that we’re talking about it. Hopefully in a decade or so, the thought of having to talk about things like these will just be silly. 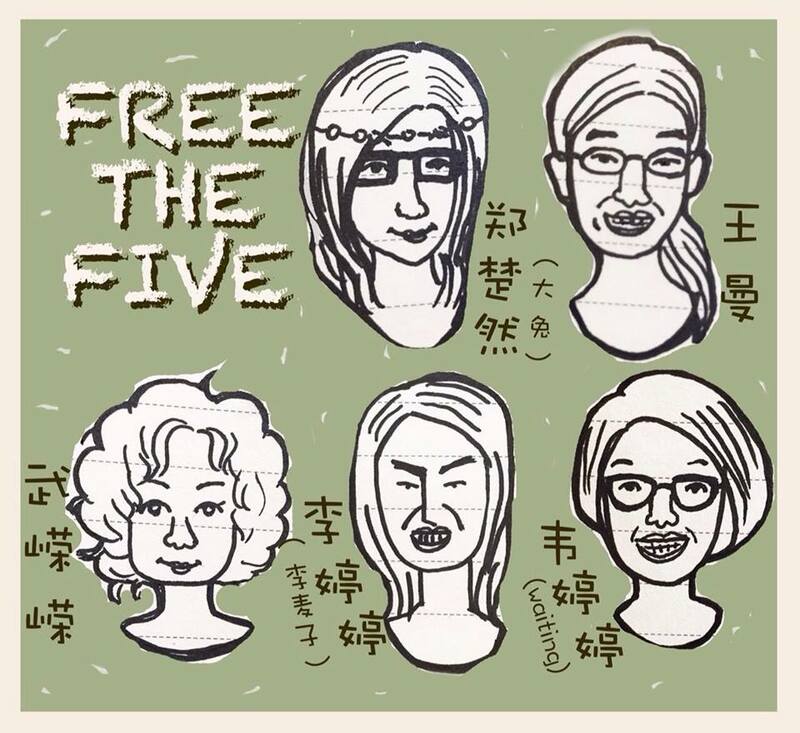 For now, we hold hope for women like those five in China.